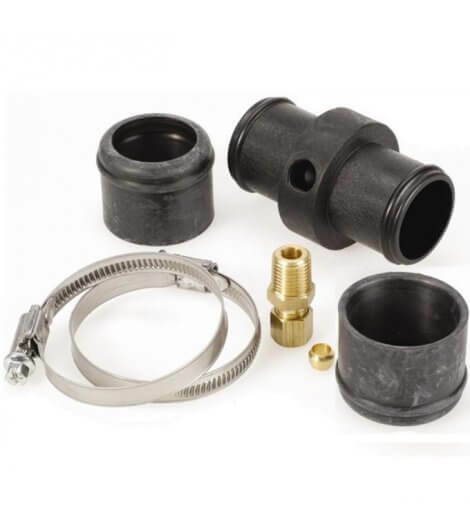 This versatile product allows users to fit the capillary of a thermal switch or sensor securely into the cooling system without the need to fit it under the radiator hose. The kit includes everything needed tobe fitted in minutes. Universal sleeves allow this adaptor to be fittedto radiator hose diameters of 32mm to 40 mm. This kit suits Davies Craig Thermal Switches part # 0401 and 0404 and EWP Controllers part # 8010 and 8020 and many other thermal switches and sensors.